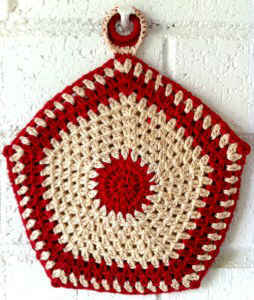 Here’s another addition to our vintage potholder collection. 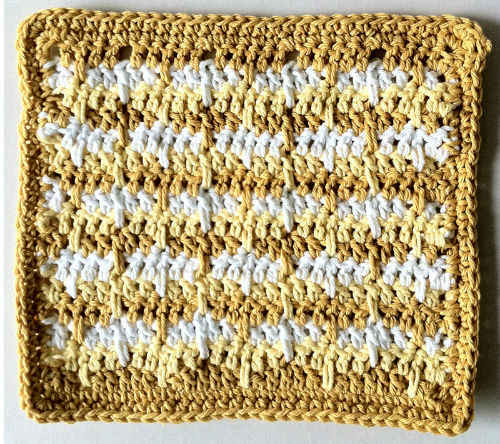 The colors are so nostalgic and the potholder is reminiscent of days gone by. These vintage potholders are more for collecting than actual use. They can be used as hot mats, but they are not recommended for potholders. Create these potholders with any arrangement of crochet cotton colors for family and friends. They make great gifts. Crochet Hook: Steel size 7. Shell: (2 dc, ch 2, 2 dc) in same st or sp. Rnd 1: With right sides of both Sides facing (wrong sides together, working through both thicknesses, join Red with sc to any corner ch-2 sp, (3 dc, sc) in same sp, * ch 1, (3 sc in next sp, ch 1) across to corner, (sc, 3 dc, sc) in corner ch-2 sp; rep from * 3 times, ch 1, (3 sc in next sp, ch 1) across to corner; join with sl st to first sc. Rnd 1: Using Ring, following diagrams below, join Red with sc to Ring, sc in ring until Ring is covered; join with sl st to first sc. Finish off and weave in ends. Rnd 2: With right side facing, join White with sc to any sc, sc in each sc around; join. Finish off leaving long end. – Using long end, sew Hanger to any corner over 5 sts. 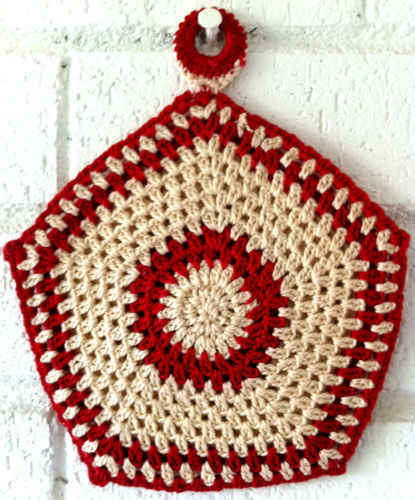 The pattern says “following diagrams below” for the ring hanger. What diagrams?. I don’t see any diagrams. I really love your patterns, but why do you say they are all “easy”. 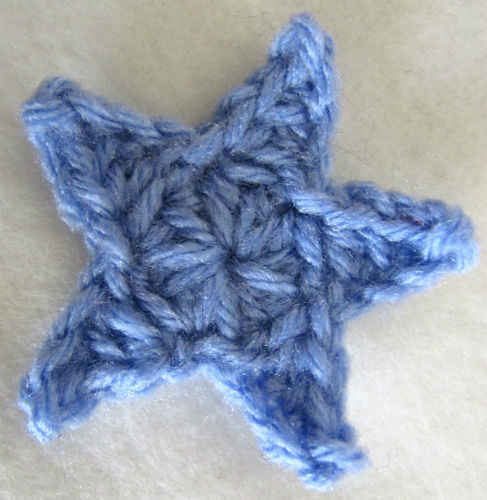 Maybe for some one that has done crochet for a while….Yes, they would be easy. I am just learning and have found some patterns not so “easy”, but I keep at it. Thanks for all you do. The lace pottery is just gorgeous .